Ariel Alonso (FR) speaks with Rasmus Adrian (DK), manager of Hotel Proforma, tenor Jean-François Chiama (FR), Mathieu Romano (FR), conductor and artistic director of Ensemble Aedes, and Lionel Sow (FR), conductor of the Chœur de l’Orchestre de Paris. Ariel Alonso (FR) studied piano in his native country Argentina and conducting at the École Normale de Musique de Paris Alfred Cortot. He graduated from the Universidad Nacional de las Artes in Buenos Aires, and holds a Master in Arts Management (specialized in music) from the Université de Paris-Sorbonne. He teaches conducting at Conservatoires in Paris, notably the Conservatoire Gustave Charpentier, where he is also conductor of several vocal ensembles. 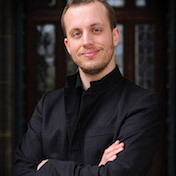 Alonso has conducted the Choeur Sorbonne Universités since 2011. In October 2016, he was appointed Musical Director of the National Polyphonic Choir of Buenos Aires (Argentina). 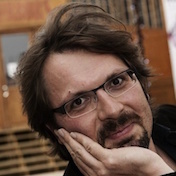 Rasmus Adrian (DK), manager of Danish theatre group Hotel Proforma, has worked in the performing arts as a producer, consultant, lecturer and executive manager for more than 15 years. Over the years he has specialized in leadership and management of performing arts organizations. He has held positions as managing director of the early music orchestra, Concerto Copenhagen, CEO of Theatre Republique in Copenhagen, and CEO of South Denmark Philharmonic. Adrian has studied classical guitar at the Royal Danish Academy of Music, and has master’s degrees in Arts Management from the Sibelius Academy in Helsinki and in Public Administration from Copenhagen Business School. Hotel Pro Forma created three award-winning music theatre productions with Latvijas Radio Koris, where the choir plays the leading role: Operation: Orfeo, War sum up, and recently Neo Arctic. Tenor Jean-Francois Chiama (FR) took part in the very first class of young singers educated at the Centre de Musique Baroque de Versailles, under Michel-Marc Gervais in 1989. He started his study of the relation between text and music with Martin Isepp, famous accompanist and director of the festival of Glyndebourne. 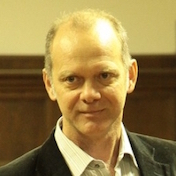 In 1991 he was part of the first group of professional singers brought together by Laurence Equilbey, with whom he still works today. His career developed in parallel tracks, both as soloist and in (smaller) vocal ensembles, working closely with contemporary composers. He defines himself as chamber musician, like one would describe a player in a string quartet, using his voice in single parts and as an integrated part of the polyphonic texture. Chiama has created and collaborated in many staged productions, from Baroque theatre to multi-media settings combined with electronics. Born in 1984, Mathieu Romano leads a dual career, conducting both choirs and orchestras. After studying the flute, the piano and conducting he was admitted to the Conservatoire National Supérieur de Musique (CNSM) of Paris. He obtained his Prizes for flute and chamber music with honours in 2009. In 2009 as well he got admitted in the conducting superior class at the CNSM of Paris (Z. Nagy’s class) and graduated in 2013. Mathieu Romano is willing to promote both vocal art and orchestral music. Thus he wanted to keep learning and attended master classes with Pierre Boulez, Susanna Mälkki, François-Xavier Roth, Stephen Cleobury, Hans-Christoph Rademann, Catherine Simonpietri and Didier Louis. He founded and took the helm of the Ensemble Aedes, which performs on a regular basis in prestigious theatres and festivals (Théâtre des Champs Elysées, Philharmonie de Paris, Festival d’Art Lyrique of Aix-en-Provence). Its second a cappella recording (Ludus Verbalis vol. 2) was awarded a Diapason d’or in January 2013. 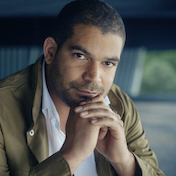 Lionel Sow (FR) is conductor of the Chœur de l’Orchestre de Paris since 2011. In 2012, he established the Académie du Chœur de l’Orchestre de Paris and, in 2014, the Chœur d’enfants de l’Orchestre de Paris (the Children’s choir). Sow was trained as violinist, singer and conductor at the Conservatoire Supérieur in Paris. 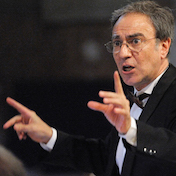 From 2006 to 2014, he was artistic director of the Maîtrise Notre-Dame de Paris, performing the great sacred choral masterpieces as well as a capella repertoire from the Renaissance to the present. In 2011, Lionel Sow was appointed Chevalier dans l’ordre des Arts et des Lettres. From January 2017, he will teach choral conducting at the Conservatoire National Supérieur de Musique et de Danse de Lyon.